Youth before old age. When we are young, we have a lot of energy to worship Allah (SWT), perform our daily responsibilities, and enjoy our lives. Unfortunately, it is easy to waste our youth on distractions that do not benefit us; so taking advantage of our youth with meaningful tasks is important. Health before sickness. When we are healthy, we are able to perform our acts of worship to Allah (SWT) with ease. For example, fasting all day then praying Taraweeh at night during Ramadan are more easily accomplished when we are in full health. It’s only when our health declines or is compromised that we realize what a blessing it truly is. That’s why it’s crucial to maintain our health and not take it for granted. Wealth before poverty. Wealth in this context isn’t only referring to the amount of money we own, but includes the blessings we have in our day to day lives, like our homes, cars, food, clothing, etc. It is necessary to thank Allah for all the blessings He has bestowed upon us and to share with those who are less fortunate. Sharing even a small amount of our wealth can go a long way for those with little. Free time before preoccupation. This goes hand in hand with taking advantage of our youth before old age. Time is a valuable resource that we often take for granted. While we casually breathe at this very moment, someone else is taking their last breath. We only have a limited time in this life, so it is crucial that we make the most of every day by worshipping Allah (SWT) to the fullest and performing actions that please Him so that we may be showered with His mercy in this life and the next. Life before death. One of the most important points that we should always be aware of is the fleeting nature of life. No one has a guarantee of how long they will live, so it is important to always behave in a manner that pleases Allah with the mindset that we may pass away at any time. This idea is summarized nicely in a hadith on the authority of Abdullah ibn Umar (RA), who said: The Messenger of Allah (PBUH) took me by the shoulder and said, “Be in this world as though you were a stranger or a wayfarer.” And Ibn Umar (RA) used to say, “In the evening do not expect [to live until] the morning, and in the morning do not expect [to live until] the evening. Take [advantage of] your health before times of sickness, and [take advantage of] your life before your death” (Sahih al-Bukhari Book 81, Hadith 5). 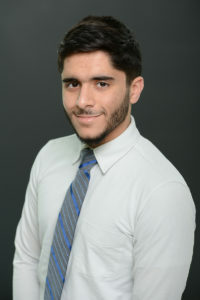 Salem Abuammer is a third-year computer science student at the Ilinois Institute of Technology.